THURSDAY, Oct. 20, 2016 (HealthDay News) -- Taking medications as prescribed improves outcomes for heart procedure patients, a new study finds. Researchers looked at 973 heart bypass patients and 2,255 patients who underwent angioplasty and stenting to reopen clogged heart arteries. Heart bypass surgery is when surgeons take a piece of blood vessel from somewhere else in the body to bypass a blocked portion of the heart's artery. Angioplasty is performed using a thin catheter that's threaded through the blood vessels to the heart. A balloon on the end of the catheter is inflated to open the narrowed blood vessel. Sometimes a stent (a mesh or wire tube) will be left in the blood vessel to keep it open. Prescribed medications in the study included cholesterol-lowering statins, blood thinners and beta blockers. Follow-up information was collected 12 to 18 months after the heart procedures. Overall, patients in both groups who took their medications as prescribed were more than twice as likely to have complication-free survival than those who did not take their medications as prescribed. In both groups of patients, those who left the hospital on aspirin (a blood thinner) and statins and were still on both medications at all follow-up checkups had better complication-free survival rates than patients who at any point didn't take their medications. The researchers also found that among patients who take their medications as prescribed, heart bypass may not offer more benefits than angioplasty and stenting, according to the study. Findings were published Oct. 24 in the journal Circulation. "Adherence can have a dramatic impact on the long-term outcome of both heart bypass and angioplasty patients, and that impact may be more compelling in angioplasty than in bypass patients," study lead author Dr. Paul Kurlansky said in a journal news release. He's a cardiac surgeon at New York-Presbyterian/Columbia University Medical Center in New York City. Heart bypass restores blood flow to the heart. Angioplasty and stenting helps open blocked blood vessels. Because heart bypass may get better blood flow, the benefits of that procedure may rely less on appropriate medication therapy, the researchers suggested. 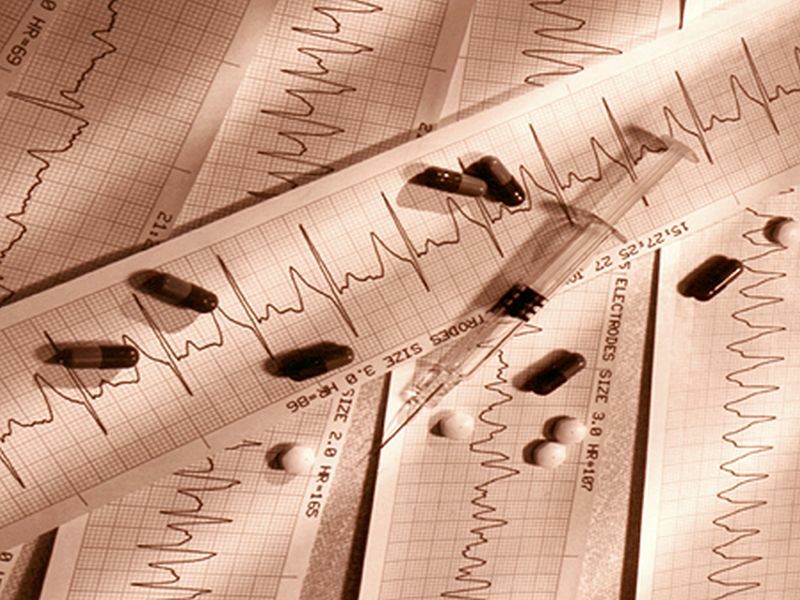 "We know enough from this study to seriously ask the question -- are patients unwilling to adhere to medication schedules better off choosing heart bypass over angioplasty -- but the answer needs to come from larger, more contemporary trials," Kurlansky said.